Cambodia is one of the Indo-China Peninsula countries in South-East Asia that is bordered by Vietnam to the east, Laos to the north, Thailand to the northwest and the Gulf of Thailand to the southwest. 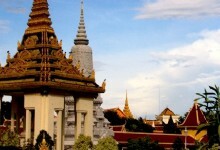 The capital of Cambodia is Phnom Penh. 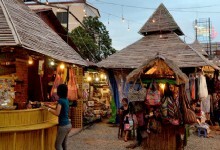 With a population over 14.8 million, 80% of the nationality in Cambodia is Khmer. Khmer, English and French are offcial languages of the country. Buddhism is the state religion of Cambodia, more than 95% residents practice Buddhism. 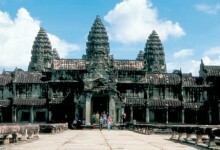 Cambodia became a protectorate of France in 1863, and gained independence in 1953. It is a traditional argricultural country and is one of the least developed countries in the world with 28% people living in poverty. The currency in Cambodia is Riel, while U.S. Dollar is also accepted. Highway and inland river transport are two main transportation methods in Cambodia. Visit the famous Tonle Sap Lake near the Royal Palace, from there you can take a boat trip to Siem Reap. In the evening, local people like to gather at Tonle Sap lake to relax. Moreover, you can experience the unique trip and watch the sunset in Phnom Bakheng outside the south gate of Angkor Wat.